For your VS dive systems we offer a range of accesories ranging for the Add A Diver kits, to the Egressor package, to various parts or built in modules. 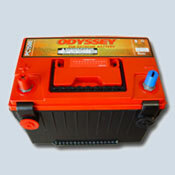 Extend your diving day with a spare set of batteries for your VS Floating Hookah system. VS Floating Hookah and VS1 Boat Hookah systems come with 2 PC925 batteries. Batteries may not be big, but they can be cumbersome to carry. 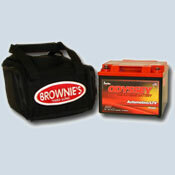 We make that job much easier with our custom Battery Carry Bag. Each bag includes a molded handle for comfort, padded reinforced walls for protection, and commercial-grade zipper and webbing for security. Each bag is sized perfectly to accommodate one PC925 battery. 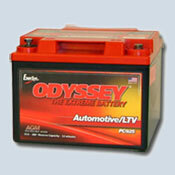 Designed to recharge ODYSSEY batteries at the most efficient rate.Wired to charge up to 2 batteries simultaneously. 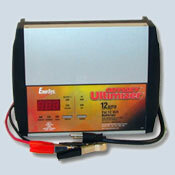 Also performs as a maintenance charger - batteries can remain connected and "ON" without damage to batteris or charger. Larger battery included in the VS2 Boat Hookah systems - 2 required per system. Note:The PC1500 battery will NOT fit in the VS Floating Hookah system or the VS1 Boat Hookah system. 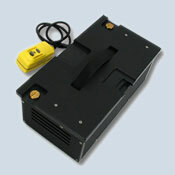 he VS AC power supply is designed for our VS Floating Hookah system for longer hours of use. Need to clean your pool, or the bottom of your boat? Just plug and stay in until the job is done.